I know I said I am limiting/eliminating my buying but that doesn't mean I can't look! The collar on this top is so pretty. 4. This cute tea print! I bought these 2 pretty nature paint by numbers that I thought would look great in the kitchen. They did not. I think we need something more this style but I might try to make something myself! In case you didn't know, I like fancy nails. 2. Stef & Erin's favourite purchases from their trip. I kind of die when I see all the photos from these lovely ladies' recend trip. 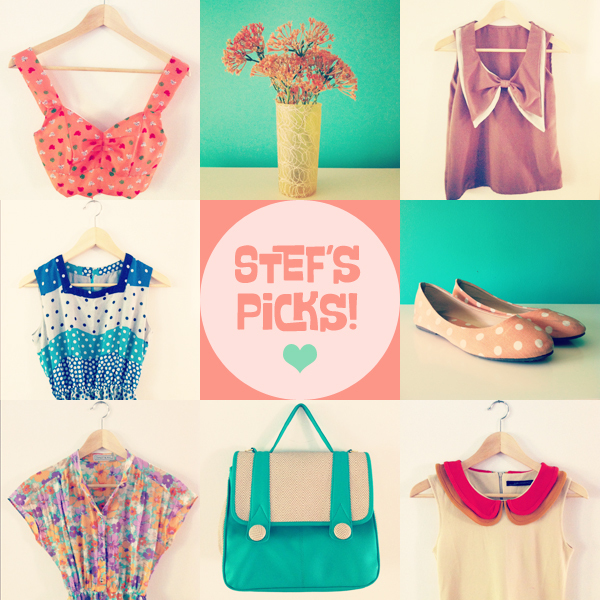 You need to go check out Erin's favourites as well...so goooood! I am pretty obsessed with lilacs at the moment. I really wanted to put one in the front of our house but we ended up getting some other tree instead. I think we still need some lilac action out there. Ivan and I might go to the Royal Botanical Gardens this weekend so that I can get my lilac fix. I have a lot of things that I would like to do today. I had a not so productive day yesterday but today is feeling better already! It is super sunny so that helps a lot. EDIT: Oh my goodness, I can't believe I forgot to post this on Tuesday!! The winner of the Buttonlandia giveaway is Elisha! I am a space cadet this week. 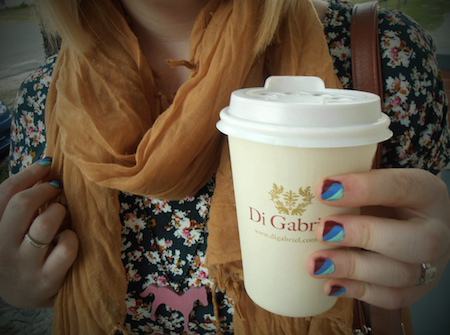 That tea print is fab. I love lilacs too but they set off the husband's allergies sadly so I have to admire them from afar! 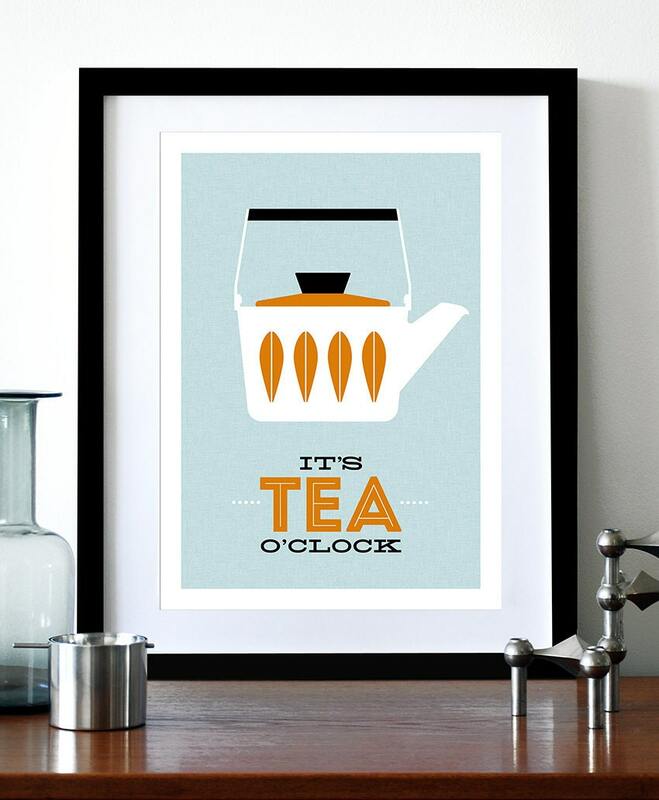 I love the "Tea O'Clock" print. Too cute! Yum lilacs. What a delicious smell they have. I could use some of those, as well. Thanks for the comment and today's cat-less post, by the way!! Hahah. Oooh! Lilac! :o) I love the look and smell of it, and it always starts blooming just around my birthday, so it's a pretty special bush to me! 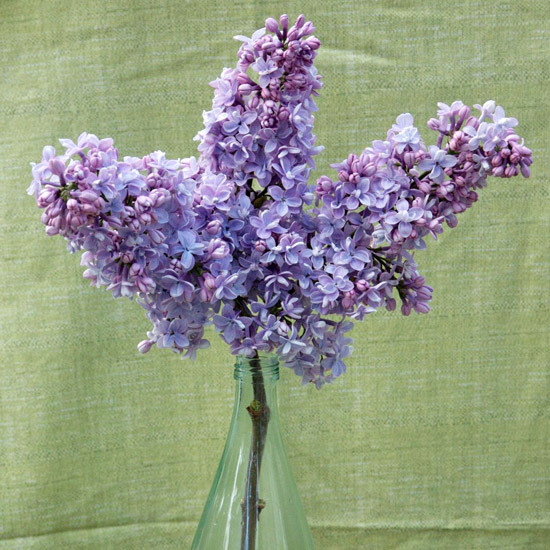 lilacs are one of my very favorites - we have a total of 15 dwarf lilacs lining the front my house and a few in the back yard and then one miniature deep purple variegated lilac as well. My neighbors also have really really large lilacs that line our property so sometimes i pretend those are mine too! i just die for everything from oh so lovely vintage. those girls have the best taste. I love the tea print and the lilacs. Beautiful! Oh, my! I love #5 and #2! I Love the collar on the top <3 and the print is pretty awesome too. lilacs are one of my favorites. i have dreams of having a yard full of lilacs when i finally have my own house. oh yes.